Your flower girl will love wearing our beautiful children's jewelry! She'll feel like a princess and will look adorable in these sparkling jewelry styles. Check out our selection of coordinating flower girl headpieces as well! 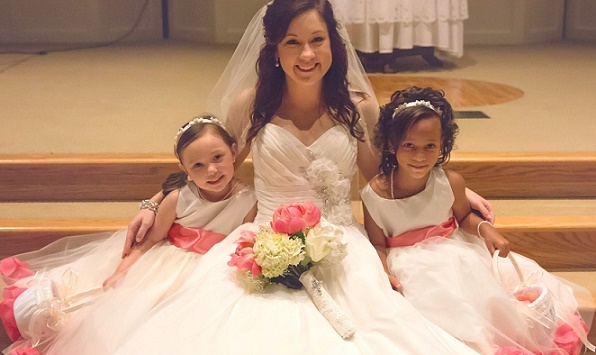 Our adorable flowergirls are wearing pearl jewelry set neb400 and headband hpc165.